International Hand Foundation: How do you say 'volunteer' in Russian? How do you say 'volunteer' in Russian? 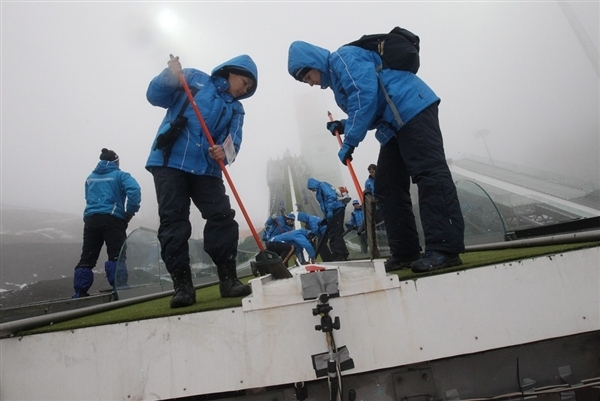 Volunteers prepare a ski jumping hill in Sochi, Russia, on Friday. Representing Russia as a volunteer at the 2014 Sochi Winter Olympics is a matter of national pride for 19-year-old Tatiana Kulagina. "I want to show foreigners that we are a friendly country and that we're not just drinking vodka!" she said. Kulagina is one of Russia's chosen, an army of 25,000 volunteers, ready and willing to work long hours without pay. With more than 160,000 applications to date, the competition to become a volunteer is rather Olympian. The deluge of applicants is surprising in a country which has no history of volunteering. At the 1980 Moscow Olympic Games there were no volunteers -- people were conscripted into their roles by the Communist regime. International Hand Foundation (IHF) is a not-for-profit 501(c)(3) corporation, and our specific purpose is to provide charitable assistance to communities in developing countries that are suffering from extreme poverty. We seek to provide educational opportunities to children in those communities.